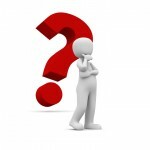 Home » Blog » Can a tenant in common sell joint property without consent? A: There are really two main issues to consider here. Firstly, whether a tenant in common can sell joint property without the consent of the other owners. Secondly, does an attorney have authority to put a jointly owned property on the market for sale? Joint tenants in common have individual rights in their property. They can dispose of their shares in it as they wish. So John’s mother has the right to sell her share of the property. If John has power of attorney for property and finance decisions he could make that decision on his mother’s behalf, if she is incapable because of mental impairment of making that decision for herself. Putting the property on the market for sale affects the other co-owner. If John’s brother doesn’t want to sell the property he could refuse to sign the property transfer document which would make it difficult to complete the sale to a buyer. There is the added complication which is that an attorney must only use a power of attorney to make decisions or take actions that are in the Donor’s best interests. Any decisions by an attorney, must take into account the five principles that underpin the Mental Capacity Act 2005 . These state that an ‘act done or a decision made on behalf of the incapacitated person must be in their best interests’. The attorney must also consider whether it is possible to make the decision or act in a way that would interfere less with the freedoms and rights of the Donor of the power. An attorney in John’s position should think about whether there is any other way of achieving the same or similar outcome by choosing another course of action, for example, asking the other co-owner if he or she will buy the Donor’s share of the property. So, John may have authority to sell his mother’s share of the property and that decision to sell doesn’t need the consent of his brother. However, it would probably be unwise to put the property on the market for sale without the agreement of his brother because John needs his brother’s cooperation to complete a sale transaction. In any event, John needs to be sure that he has sufficient evidence that a sale of his mother’s share of the property would be in her best interests. An attorney may be required to justify his actions and decisions when using a power of attorney on behalf of a mentally incapacitated person. John should ensure he can produce evidence that selling his mother’s share of the property is genuinely in her best interests. John has not said why he wants to sell the property without getting his brother’s consent. He also doesn’t say whether his brother lives at the property. If his brother does live there he will have occupation rights as well and John will not be able to sell the property without getting ‘vacant possession’. In the worst case that would mean trying to get an order from the court to remove his brother and that’s not going to be easy. If there are any differences of opinion between the brothers it would be best to try to resolve them before attempting to force the issue by putting the property on the market. This is a genuine question posed by one of our readers. We have changed the name to protect confidentiality. If you have a question you would like us to answer through the Barker Blog why not complete the form below? We can’t guarantee to answer every question we receive but if it’s on a topic of interest to our readers, we’ll try. Disclaimer: the contents of this article are for general interest and do not constitute legal advice. Readers should always seek professional legal advice on any of the issues covered in this article before taking action or making any decisions.